RSPC team La Familia qualified for its second final in Thailand by winning all their qualifying games in the B Grimm Thai Polo Masters. 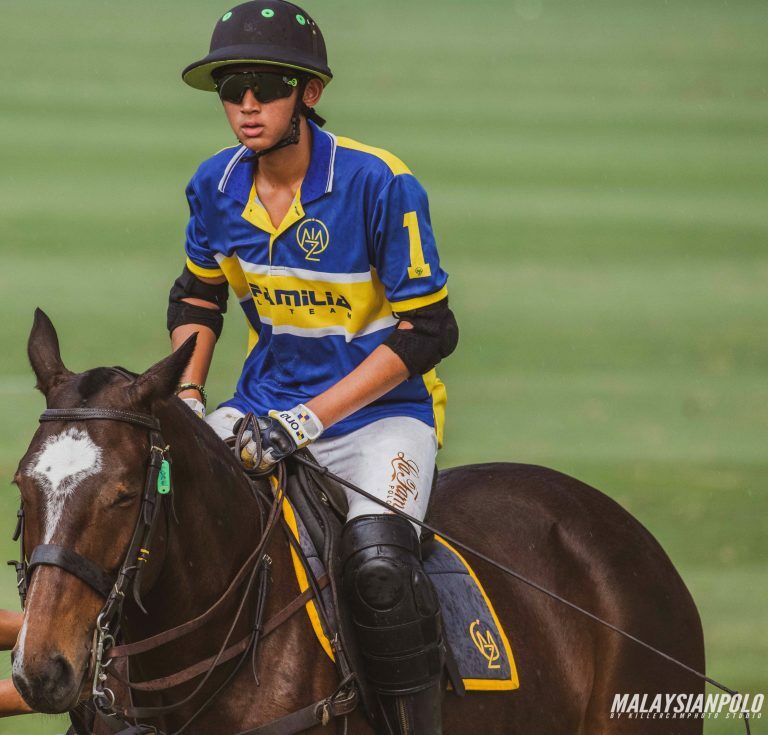 La Familia’s Patron Dato’ Mohamed Moiz injured the cartilage in his knee in their match versus Thai Polo on Sunday and sat out their final qualifying game yesterday. His son, Imran Moiz, and long time La Familia pro Gine’s Bargallo’s son Ginecito, played in his place, sharing two chukkas each. It was a 2nd Generation La Familia. At 13 years 6 months and 24 days old, Imran Moiz is the youngest Malaysian ever to play in a 14-goal RMPA International League game. La Familia will take on 22 BR in the B Grimm Thai Polo Masters final on Sunday 3rd February at Thai Polo & Equestrian Club.